We would like to send a BIG thank you to Namasté Solar for their generous support of our program. Look for our red Prius at Table Mesa and Broadway, now happily sporting the Namasté logo! Namasté Solar, a Sunpower Elite Dealer, is proud to sponsor the eGo CarShare program in our community. Namasté Solar offers solar PV solutions for residential and commercial customers. Flexible financing options are available, including no money down and 12 months no payments, no interest. Namasté Solar’s unique, values-based business model includes employee ownership, democratic decision-making, community collaboration, open communication, an innovative solar grant program, zero-waste initiatives, and holistic profit measurement. The company maintains high ethical standards among employees, customers, and the community. Committed to positive social change, Namasté Solar prioritizes “doing the right thing” above all else for all stakeholders. To set up a free consultation, contact (303) 447-0300 or Namastesolar.com. Please contact karen@carshare.org if your business or employer is interested in becoming our next featured sponsor! We still have a few matching opportunites left for our current CMAQ grant. eGo CarShare would like to thank Downtown Boulder Incorporated (DBI) for their generous support of our program. We currently have a federal grant which is allowing us to create “Shared Mobility Hubs” by placing additional carshare locations in close proximity to B-cycle stations. This grant requires us to raise $5K in matching funds for every new car we add to our fleet. DBI’s contribution will allow us to help meet the growing demand for our program! In exchange for their generous support, all DBI members are eligible for a free eGo business membership. You can see DBI’s branding as it rolls around town on our newly loanated Subaru Outback in the Wells Fargo lot (V#104)! About: Downtown Boulder, Incorporated (DBI) is a non-profit organization dedicated to the continued preservation and enhancement of Downtown Boulder as the heart of the greater Boulder community. DBI works to maintain downtown as the center of commerce, government, culture, and leisure. DBI members support the overall vitality of downtown through public advocacy, political involvement, and community events that enhance the Boulder experience for residents and visitors. Membership in DBI is voluntary, and open to any interested person or organization. Learn more about DBI and/or become a member at, www.boulderdowntown.com. https://carshare.org/wp-content/uploads/2018/05/ego-logo-1000.png 0 0 eGo CarShare https://carshare.org/wp-content/uploads/2018/05/ego-logo-1000.png eGo CarShare2013-12-27 11:39:522013-12-27 11:39:52Sponsor: Downtown Boulder Inc! New Denver Location – 14th & High! Thanks to a new partnership with First Divine Science Church of Denver, we have a new parking space just north of Cheesman Park! This location is a great “buddy” car to our Capitol Hill and City Park locations, for members who have had to hike a little farther to get to a vehicle. You will find V #221 in the parking lot just north of the church (14th St.) on High Street, in the signed parking space right next to the sidewalk. We are excited to give this new location a try. Please let us know what you think of it on Facebook or twitter! https://carshare.org/wp-content/uploads/2018/05/ego-logo-1000.png 0 0 eGo CarShare https://carshare.org/wp-content/uploads/2018/05/ego-logo-1000.png eGo CarShare2013-12-17 10:06:552013-12-17 10:06:55New Denver Location - 14th & High! Please Donate to eGo on Colorado Gives Day – Today, December 10th! 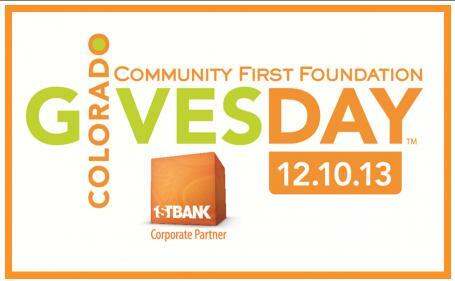 Today, December 10th, is Colorado Gives Day! Please consider donating to your favorite local, nonprofit, transit-oriented carshare organization, eGo CarShare! Each dollar we raise today will help eGo with our new Multi-Mobility project. Starting in January 2014, eGo will be creating transit, bike and carshare packages in various affordable housing neighborhoods. These programs will be subsidized by grant funding we have received through the Denver Regional Council of Governments. Our grant requires a 17% match, so we could really use your donations to make this program a success. 100% of your donation today will go straight to us. Please give today, Tuesday, December 10th! Together we can make a difference in our community! https://carshare.org/wp-content/uploads/2018/05/ego-logo-1000.png 0 0 eGo CarShare https://carshare.org/wp-content/uploads/2018/05/ego-logo-1000.png eGo CarShare2013-12-10 09:17:012013-12-10 09:17:01Colorado Gives Day! Rudi’s Organic Bakery – New eGo Sponsor! We are excited to announce another new community partner and sponsor this month. Rudi’s Organic Bakery is now the proud sponsor of our Prius at Lucky’s Market in Boulder! We are grateful to Rudi’s for their support of our program, and we also think they make the best bread in town! Rudi’s has been passionate about baking better breads for families for more than 35 years. Founded and headquartered in Boulder, CO, Rudi’s Organic Bakery is the only nationally available brand offering a full line of nutritious and delicious certified organic breads and baked goods that use only the best organic ingredients and no artificial additives, preservatives, or GMOs. Rudi’s Organic and Rudi’s Gluten-Free products are available nationally at natural foods stores and select mainstream supermarkets. For more information, visit rudisbakery.com. Please contact karen@carshare.org if your business or employer is interested in becoming our next featured sponsor! https://carshare.org/wp-content/uploads/2018/05/ego-logo-1000.png 0 0 eGo CarShare https://carshare.org/wp-content/uploads/2018/05/ego-logo-1000.png eGo CarShare2013-12-10 09:09:102013-12-10 09:09:10Rudi's Organic Bakery - New eGo Sponsor!